Being pregnant makes you feel a little like a China doll. Everyone handles you with care. You are not nearly as breakable as the people around you think, though. A little activity during your pregnancy is not only a good thing, but recommended to ease normal discomfort like back pain, according to the Mayo Clinic. Moving your home can be both physically and emotionally challenging, pregnant or not. Mothers-to-be must use caution so they don’t hurt their bodies, but there is no reason they have to sit by the sidelines, either, as if that were even possible. Consider seven ways to improve the move for you and baby. Start by giving yourself a pat on the back. You have done two remarkable things. First, you’re about to become a mom. Whether it is your first time or your fifth, congrats are in order. Second, you’ve successfully found a new home. Take a minute to revel in your accomplishments before the chaos begins. There is a lot to do, but you don’t have to do it all at once. Now is a good time to call in some favors, and put your friends and family to work. Make a list of the things that need to be done, and assign jobs to everyone available. Fatigue is the downside to being pregnant. You probably feel tired all the time, especially if you’re in the first trimester and dealing with morning sickness. During this time, hormone levels and a changing body can really zap your energy. Work slowly, and rest as needed. The physical activity of packing may actually help you feel better, but don’t overdo it. Back pain is common during pregnancy, so use caution even when lifting light objects. Don’t bend at the waist and pull up. Squat down, and let your legs do the work. Make this the rule, even if you are only picking up an empty box. The chaos of moving may interfere with your need to nest. Keeping things organized will help. 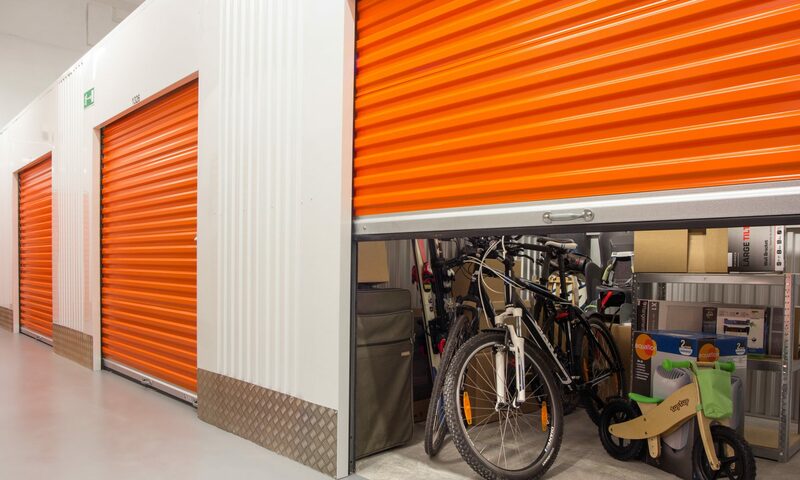 Close off one area of the house for storage before you do any packing. As you and your helpers load up the boxes, move them immediately to that room. Give in to your need to clean, too. If you feel like running the vacuum 100 times a day, then go right ahead. Michelle Rothmeier with BabyCenter explains she found comfort in planning her nursery even though she knew they would have to move it. Planning a move is stressful. Shopping for the baby is a practical approach to relieve that stress, so don’t hold back. Buy a new crib, pick out wallpaper, and then you’ll have them all ready to take them with you. It is natural to dump old furniture instead of moving it. Shopping is a pregnancy craving you can indulge in when moving. For example, you will find a variety of sofas at Macys.com or a huge amount of beds and mattresses at overstock.com if you’re looking to furnish your new place. Once you pick out what you want, have the store deliver purchased items to your new address. Gerri is a mom and part-time chef who enjoys writing about green living, healthy eating and parenting.